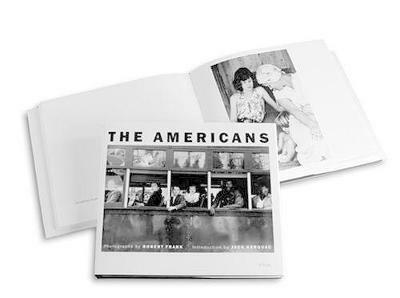 First published in France in 1958, then in the United States in 1959, Robert Frank's The Americans changed the course of twentieth-century photography. In 83 photographs, Frank looked beneath the surface of American life to reveal a people plagued by racism, ill-served by their politicians and rendered numb by a rapidly expanding culture of consumption. Yet he also found novel areas of beauty in simple, overlooked corners of American life. And it was not just Frank's subject matter--cars, jukeboxes and even the road itself--that redefined the icons of America; it was also his seemingly intuitive, immediate, off-kilter style, as well as his method of brilliantly linking his photographs together thematically, conceptually, formally and linguistically, that made The Americans so innovative. More of an ode or a poem than a literal document, the book is as powerful and provocative today as it was 56 years ago. That is the miracle of great socially committed art: It addresses our sources of deepest unease, helps us to confront what we cannot organize or explain by making all of it unforgettable.--Nicholas Dawidoff "The New York Times Magazine "
Robert Frank was born in Zurich in 1924 and immigrated to the United States in 1947. He is best known for his seminal book "The Americans", first published in 1958, which gave rise to a distinctly new form of the photo book, and his experimental film Pull My Daisy (1959). He divides his time between New York City and Nova Scotia, Canada.